Abu Garcia Parts – The Reel Dr – Your Western Canada Warranty Center and Parts Supplier! 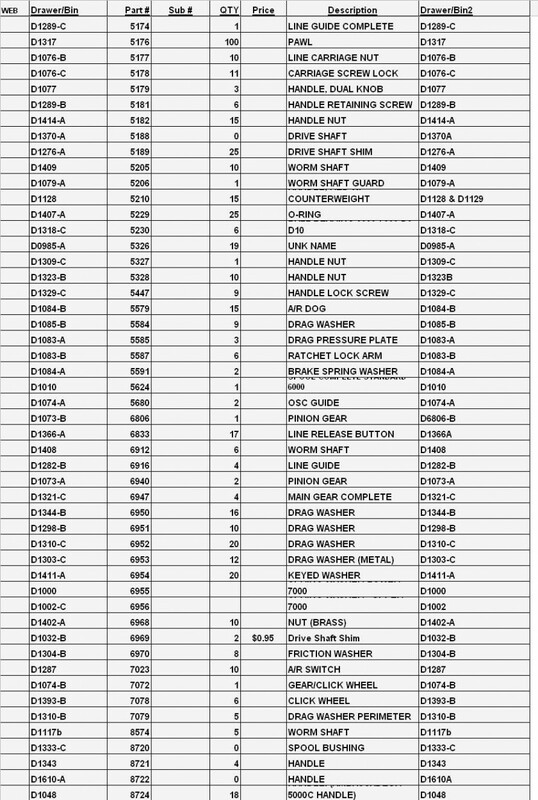 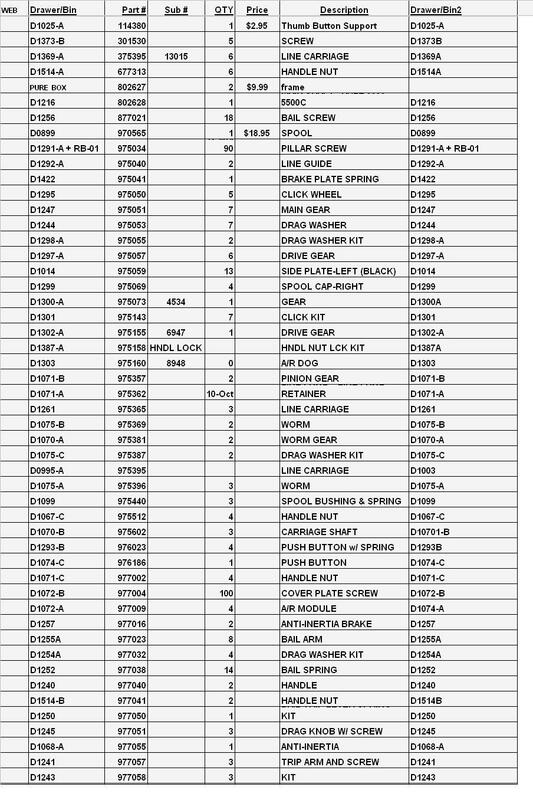 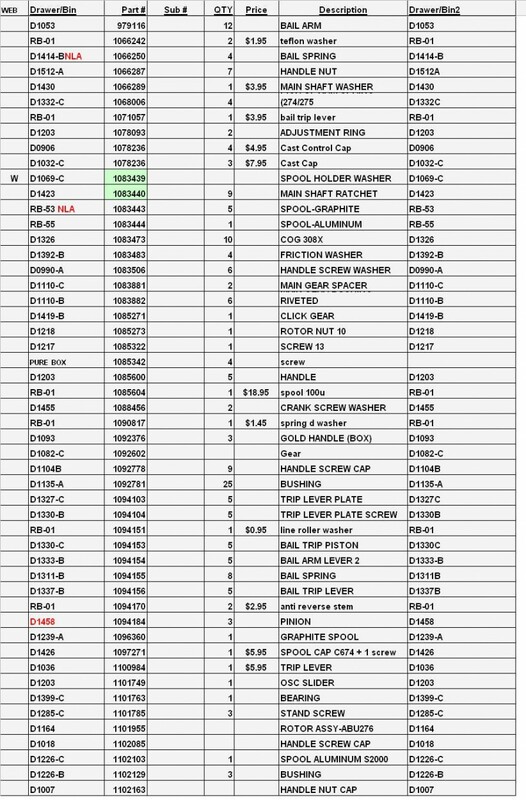 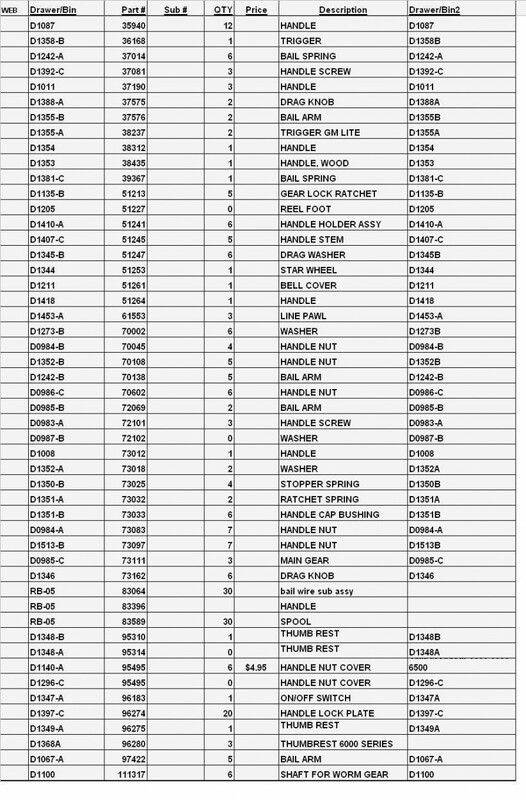 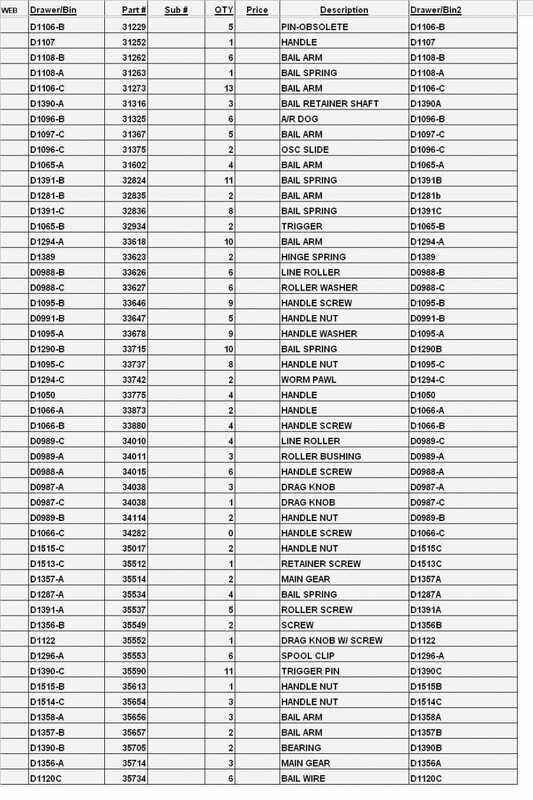 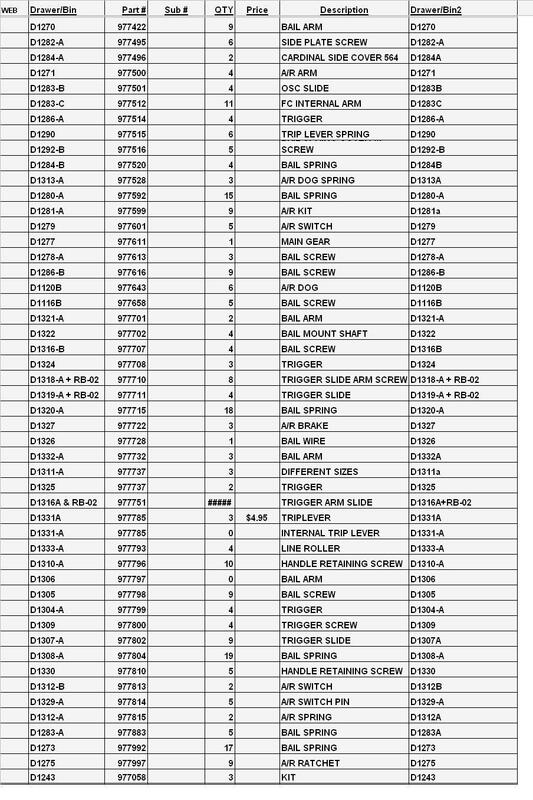 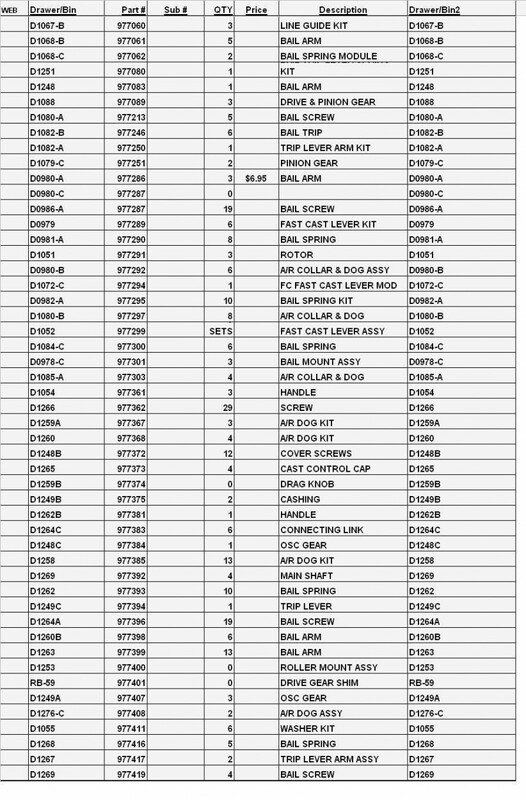 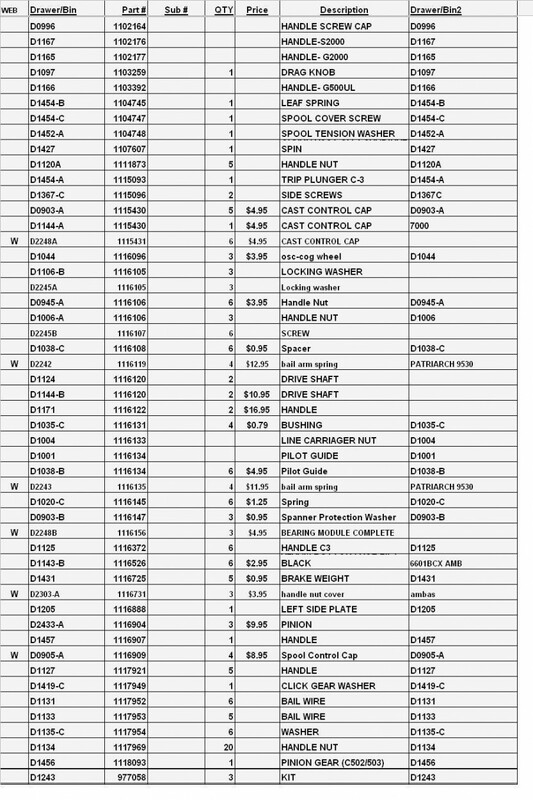 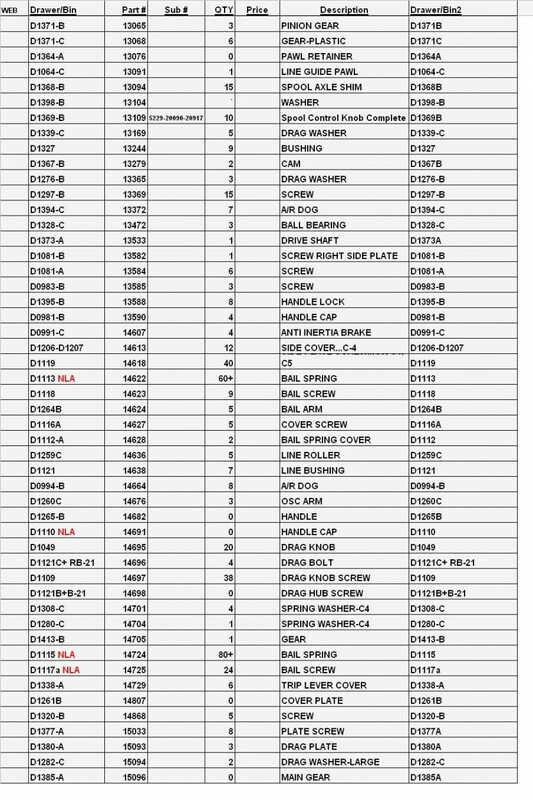 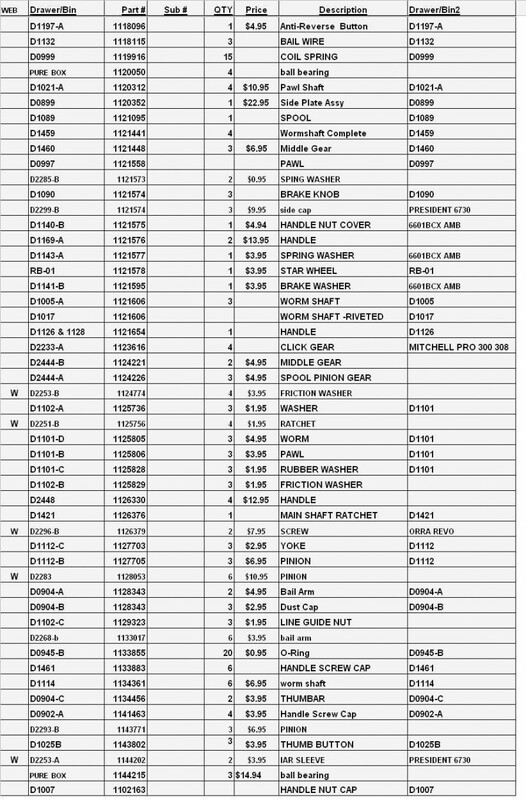 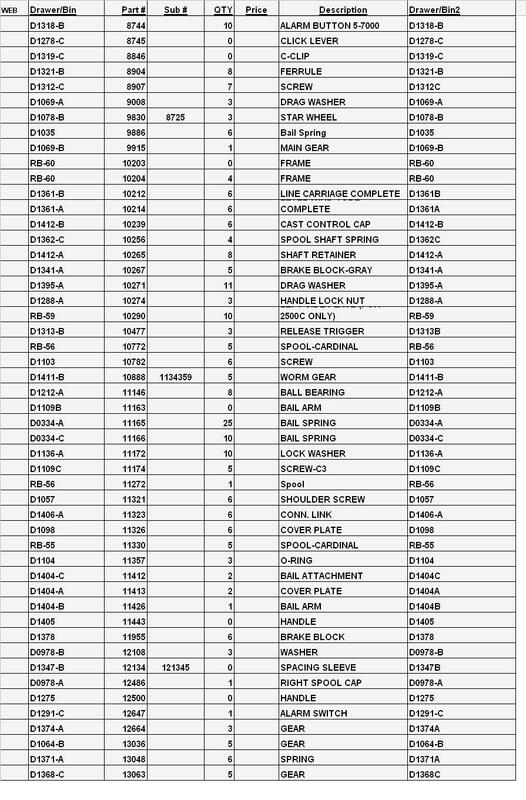 The following list is an inventory of most abu parts we carry. stock does change daily so quantities may not be up to date. 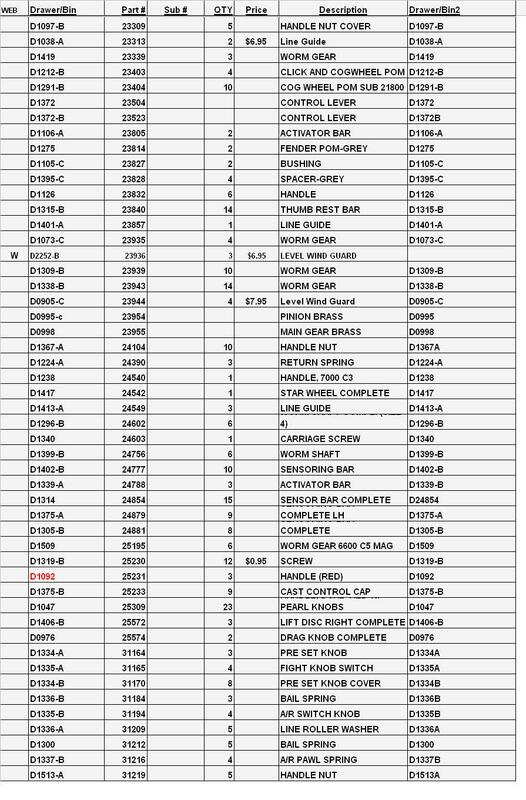 Anything marked with a W in the first column is available for purchase through the tackle box, simply type the number in the search box to the right and it will take you right to it. 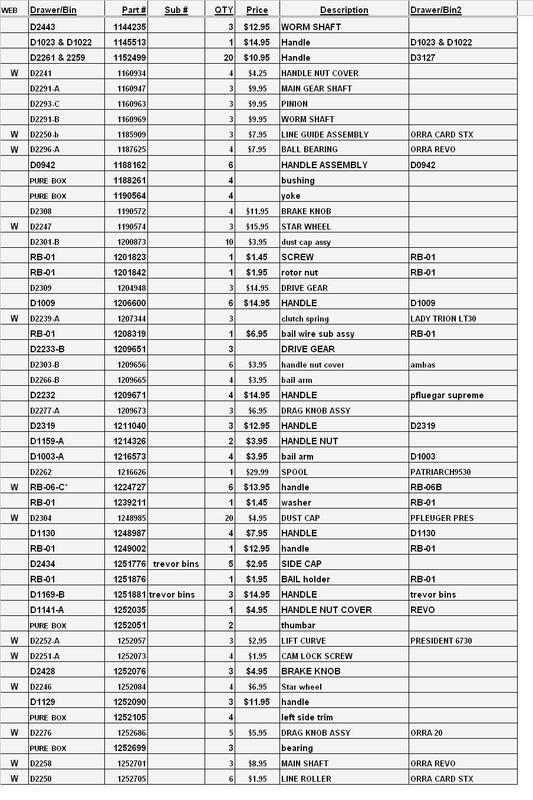 Call in at 780-431-0146 to order anything else.